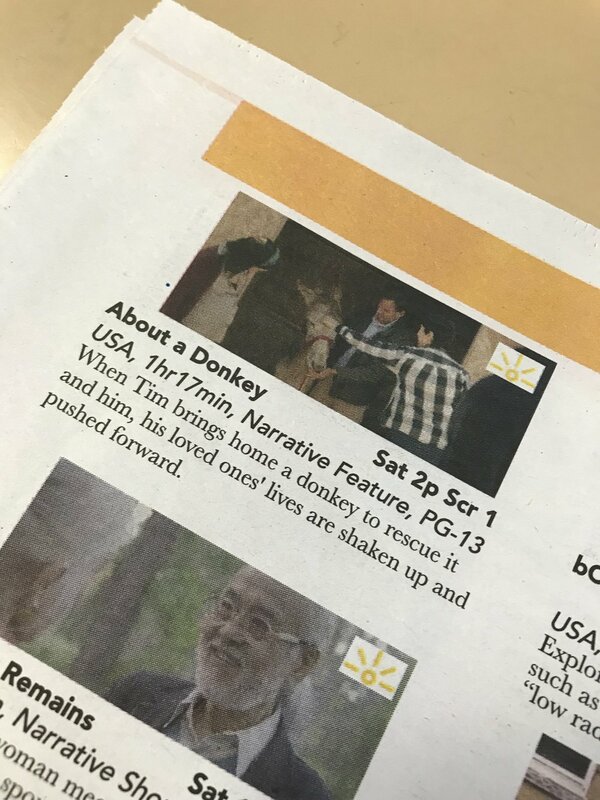 We premiered About a Donkey in Montana over the weekend in Polson as part of the Flathead Lake International Cinemafest (or FLIC). Kelsey & I flew in on Friday and immediately jumped into the festival experience via our shared ride from Missoula to Polson with a couple, Ray & Marianne Robison, who grew up in the area. Ray had a short, “An Affair Remains,” screening at the festival. I’d like to give a big shout-out to them for driving & keeping us company throughout the weekend! They made for great car buddies, who consistently shared fun facts about the state and area with us. 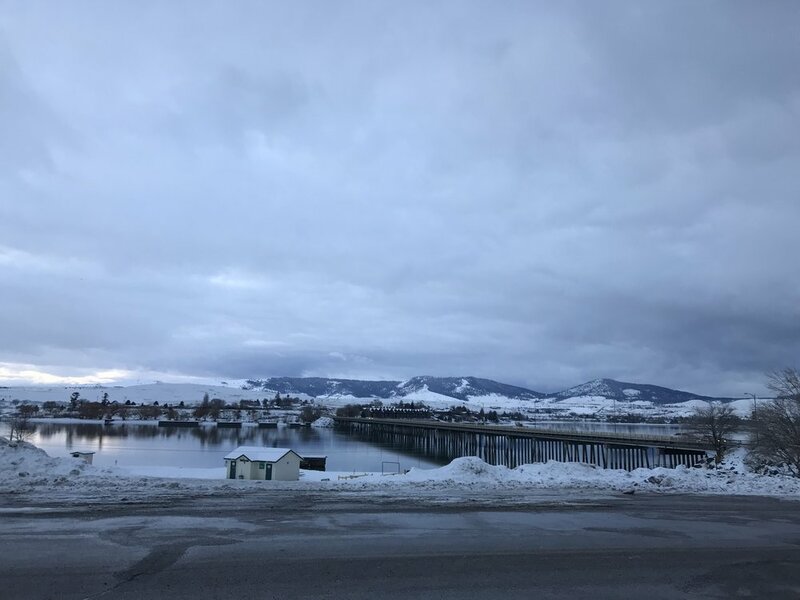 When we arrived in Polson, there was a nice Opening Night reception with food and casual mingling with other attending filmmakers and local sponsors. 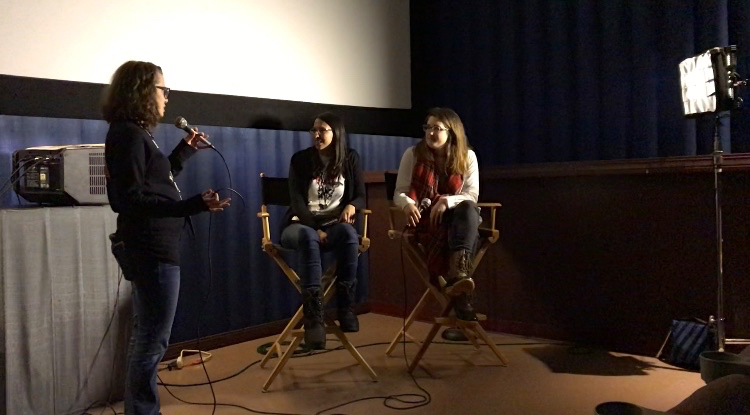 We enjoyed chatting with the other filmmakers visiting from out-of-state and especially clicked with journalists from The Washington Post, Whitney Shefte & Alice Li, who made an incredibly moving & well-done short doc titled “The Next Edition,” which can be watched on the Post’s site. The opening night shorts were a great mix of films. Overall, I’d say the programming leans most towards narrative films related to family & relationships, short & sweet animations, and docs with a strong focus on environmental issues & Indigenous stories. 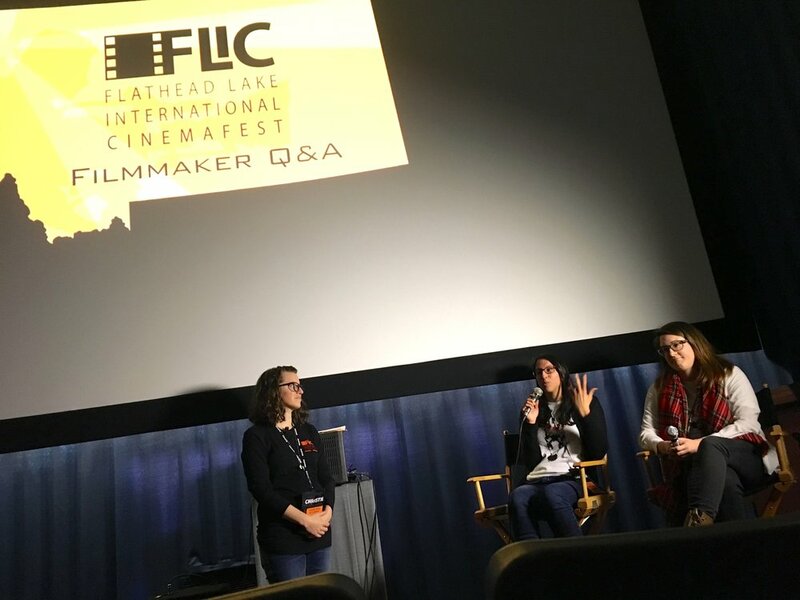 I was really happy to see Native American stories so represented at the festival, considering the Flathead Reservation right there (and just generally the Native land Polson was formed on). One doc from opening night, “Spirit of Atatice,” told a really important local story that I never would’ve known (or seen told so beautifully & effectively) if not for attending the festival. It was a great reminder of how erased Indigenous stories are from our history books and contemporary culture as a whole, and it acted as an important parallel that showcased how the current situation regarding the border wall and overall exclusionary ideology is rooted in the founding of our country (which Kelsey & I were pleasantly surprised to hear a white audience member astutely point out despite the fact that the audience overall seemed to be more conservative-leaning politically). Speaking of that, Kelsey & I weren’t quite sure what our screening would be like. I looked up the 2016 election results for Flathead County before we arrived and saw that it voted 65% for Trump, so we weren’t sure how our inclusive family dramedy would go over. Of course, that Trump-majority is part of why I chose to submit to the festival, we have been trying to screen it in red-leaning states to get some conversations going about acceptance and hopefully spread some empathy (even if we’re just planting the tiniest of seeds). But that’s easier said than done. Despite being part of our mission with touring with the film, I can’t say it’s something we’re fully comfortable doing. However, all that said, we actually had a really lovely, completely non-confrontational experience! For one thing, we had one of the highest attended screenings. The locals really come out because there's nothing else to do in Polson in the winter (that’s how it looked from the outside to us but also a couple locals stated as such). We had over 70 people at our screening for our feature, with no local connections or marketing. And only about 8 of the attendees were other filmmakers; all others were local non-filmmakers. It was really cool. (We had a strong timeslot, but even the features with not-great slots had over 30 people, and most shorts blocks had around 100 people. Overall, that’s way better than many better known fests out there, which you know if you read my recaps.) 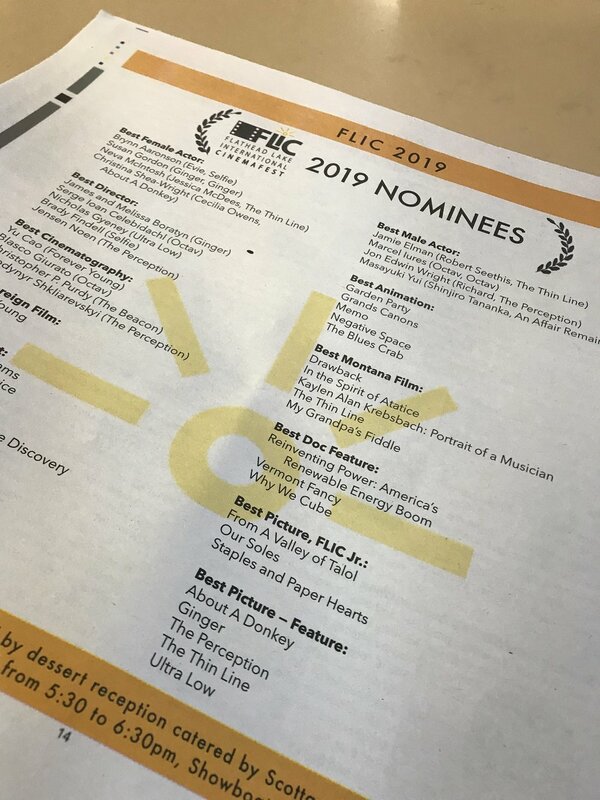 Even more surprising was that we were programmed up against another feature that was made in Montana and had a lot of the cast & crew in attendance, yet so many people chose to check out our little film from NY! I think our family-oriented synopsis really draws people in, in a community like Polson. It’s something we witnessed in Glens Falls, as well. But unlike with that festival, no one walked out during a sweet moment between two of the women in the film. Maybe some people weren’t fully onboard with the unexpected romance (not really unexpected once you start watching, but it’s not a major plot-point in our marketing), but no one seemed overtly intolerant. The film as a whole got a ton of laughs in the right places, even some vocal affirmations to bits of dialogue throughout, and an overall positive response. It was one of my favorite audience-viewing experiences. I’d say top 3 overall. Also, the picture & sound quality were great. It was so cool screening in an actual theater (and at DCP quality, which the fest made for us from the mp4 file we sent)! On the last day, before the awards, a man turned to me and said “we quite liked your film,” and then his wife turned around and got excited to recognize me and said, “we’ve seen almost every film and yours was one of my two favorites.” I was so grateful and chatted with them a bit (her other favorite was the feature Octav.) 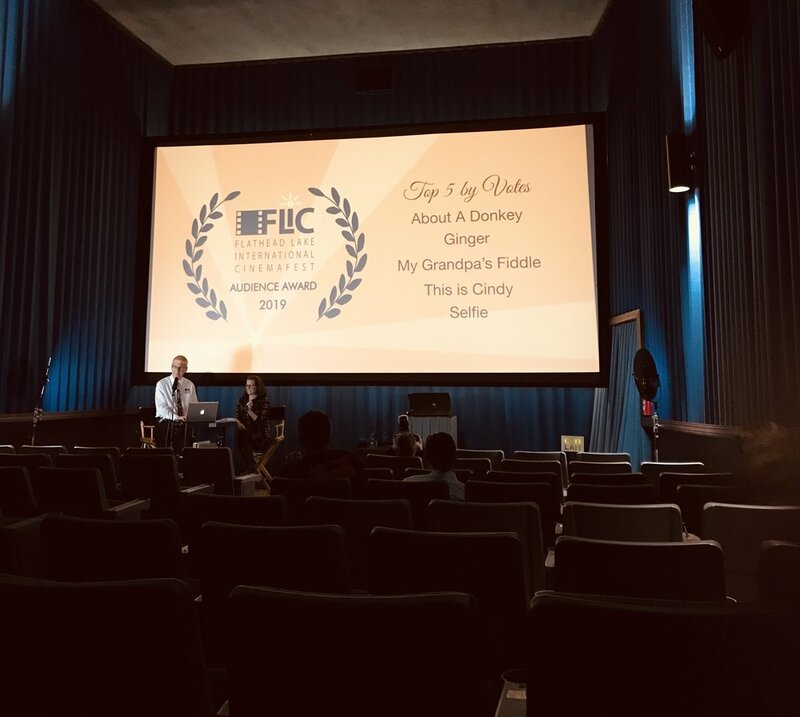 We didn’t end up winning any awards (though we were nominated for Best Picture & Christina Shea-Wright was nominated for Best Actress for her performance as Cecilia), but we did make the top 5 in Audience Votes (out of 56 eligible films). We were told it was super close, but a local film made by affiliates of the festival won. It’s really lovely that our little movie made in NY resonated with this audience of local Montanans! It shows how much about being human is universal and that we can see ourselves and our wants/needs in each other even if we’re not all exactly the same (#loveislove). Overall, Kelsey & I had a blast. Flathead Lake is beautiful and the town is small but cute. (Food's not great, though.) The festival directors & staff were really nice & supportive. (And offered solid accommodations, like a free hotel room.) And the locals were super welcoming & truly excited to have us in their town with our film. I’m not sure I’ll ever make another film that suits their audience (they don’t really program genre work), but if I do, I’d definitely love to be back. Polson is not vegan friendly, but they have a cute coffee spot (it’s like a truck but shaped like a tiny house), called Chipper Chick Coffee that Kelsey & I enjoyed stopping at. And if you’re ever in Missoula, even just passing through, you must find a Tandem Doughnut! We screen in California in 2 weeks at Cambria Film Festival, at 2pm on Friday, the 8th, and 7pm on Saturday, the 9th. 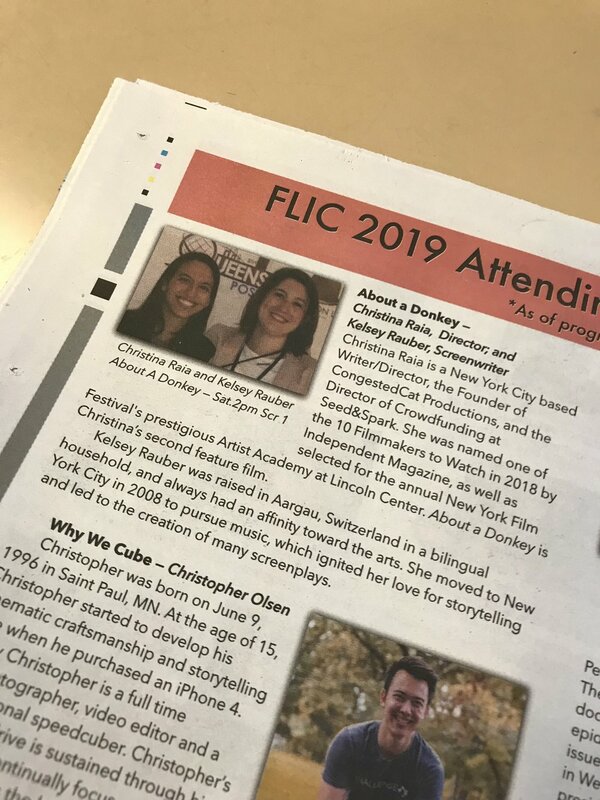 And then in March, we’ll be at our local favorite, the Queens World Film Festival! P.S. Since I highlighted some films that screened in this recap (which I typically only do in posts on twitter), here are my other favorite films: shorts “Homecoming” by Jennifer Blair and “This Is Cindy” by Terance Miller. And the feature film “Ginger” is moving & powerful. I’m glad we’ll be screening with it again at Queens World. The filmmakers Melissa & Jimmy Boratyn were lovely and now new friends we have based in Chicago!